"Beautiful beach, many local food nearby." Have a question for Mersing Beach Resort? "The beach is very near within walking distance." "The only best part is the location, the beach is within walking distance." "Pros:- seaview room has great view of the beach." "Furthermore lovely sandy beaches and surprisingly very clean..."
Conveniently located in Mersing, Mersing Beach Resort is a great base from which to explore this vibrant city. 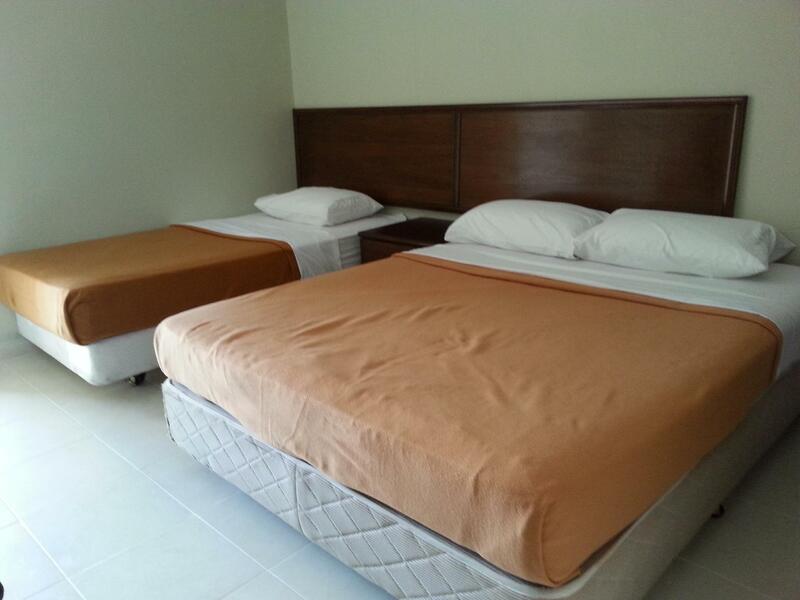 Situated only 8.1 km from the city center, guests are well located to enjoy the town's attractions and activities. With its convenient location, the hotel offers easy access to the city's must-see destinations. 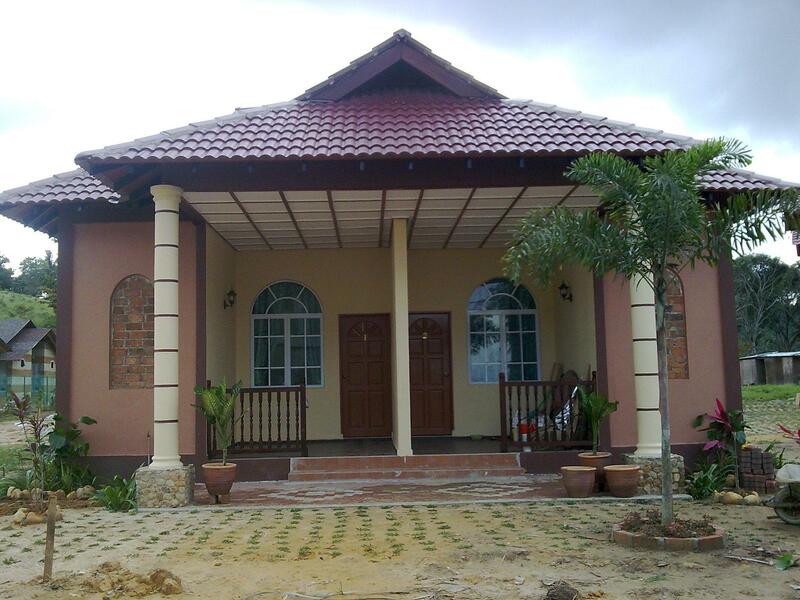 Mersing Beach Resort also offers many facilities to enrich your stay in Mersing. A selection of top-class facilities such as 24-hour security, taxi service, 24-hour front desk, Wi-Fi in public areas, car park can be enjoyed at the hotel. All guest accommodations feature thoughtful amenities to ensure an unparalleled sense of comfort. The hotel offers wonderful recreational facilities such as outdoor pool, pool (kids), garden to make your stay truly unforgettable. With an ideal location and facilities to match, Mersing Beach Resort hits the spot in many ways. Totally ok. If you bring your kids. Have swimming pool & near with beach. But, the tv only have 1 channel tv3. Old facilities, low maintenance maybe. leaking sink. Not too clean. Hope this resort, review back all the negative feedback to upgrade this resort. Totally this resort ok to me. Maybe will come again. If you are looking for some high class resort then this is not the place. This resort is for those who want to escape city life and relax in the outskirt environment. The environment is based in Malay kampung. Facilities are sufficient, wifi access is limited so better prepare your own internet or just don't use internet for day(s). However, there are no towel and toilet paper. So, it's better to prepare your own at Mersing town before going. You can have your food at the Malay stalls nearby within walking distance, just don't expect some high class food. Bicycle rental is available from the resort next door. No taxi in the area, so better to save a number from taxi drivers in Mersing town for him/her to pick you up when you want to leave. Even though the water heater was broken, the air conditioner and electric kettle work very well. The television has only two channels though; TV1 and TV3 but then we were here not to watch the television but to enjoy the beach. There’s a swimming pool that at first appeared to be dirty but after a day, the water was cleaned and became very clear when people started to use the pool. The beach is very near within walking distance. The staff is helpful and very friendly. The staffs were not so helpful, tend to make faces when attending to the customers' needs. TV time was limited, maybe they want to cut cost. WIFI was only accessible at the office area. Poor breakfast spread, dining tables were dirty...no table cloths at all. My perception about the operator is that he or she only concerns about profits because this resort is strategic. The beach is great, but our stay here was a horrible experience. The swimming pool cannot swim because the water is dirty. The breakfast is poor, only 2 types of dishes can choose. The great is only the Pantai Air Papan Beach, sea water is always clean. Location is good, just nearby the beautiful beach. Pros:- seaview room has great view of the beach. Although resort quite run down, surprisingly there’s a pool Cons:- water heater not working. Reception opens late. For late night supper, hv to drive out to buy food. The resort provide basic but complete facilities to hold a budget Family Day. Small pool for kids, BBQ pit, large grass field and beach volleyball court for games. Furthermore lovely sandy beaches and surprisingly very clean compared to our last visit. Thumbs up to the local authority. However the breakfast provided is very basic. The room is dirty where there are so much dust around and the floor is sticky. The tv and heater are not functioning. There are no iron. The refrigerator is dirty. The furnitures are old. We also need to ask for towels as it is not given upon check in. a pair of twin bed in the room area and another pair in the living room (in front TV). air conditioning in the room not working. only at the living room. no chair/ table in the living room. just 2 twin bed. air con in the living room has insect feces dirt. bathroom smells like cockroaches after usage. for a price of RM358 for one night feels like a rip-off. The room that we stayed in was run downed. Peeling wall paint and pencil doodle on wall. There was no hot water (ni it wasn't broken but literally no hot water). room was small. Somehow it's not like the picture that was shown in Agoda. i think Agoda owe us half refund for advertising their hotel. we paid about RM425 for 2 nights. Hotel room of the quality that we stayed in usually is not more that RM120 per night. if you must stay in that location, stay in Air Papan Beach Resort or Fishermen Bay. Loose points on cleanliness, food and service. Small office as a reception and waited for half an hour to locate a person to help in check in. Not all worth for the money spent. The only good point is that it is near to nice beach although far from Mersing town. We stayed in a family room. There was no wifi, TV channels all blurred Malay channels , no toilet paper, toilet holder was totally rusty and spoilt - can't hold the toilet roll, no free bottled drinks, leaking tap where the water flows right down the sink hole and flooding the toilet. Shower head was spoilt n simply bound using rubber bands. Reception check in area was just a pathetic room with an unfriendly lady. There was no place / table to put your drinks or things save the small dressing table in the room. Don't stay! Mersing beach resort was strategically located. 100 meters from the beach. Ample parking place. However, the resort should have been well maintained. My experience - 1. Room was dirty with lizards droppings - the resort staff gave us a mop and broom to clean it ourselves (totally unacceptable) 2. Mosquitoes were roaming the room - we complained to the resort and was given mosquito repellent spray. 3. Once we spray the room - cockroaches started roaming the room. (very disappointed and we even thought of renting at another hotel). Hope the owner would really take care of the resort as it is always full house-. The place was not well lit and had the fright of my life not seeing the resort where google maps was pointing too. Even the resort beside this was equally bad. The hotel guard was the only one manning the desk at that time and had trouble understanding english. We were shown rooms infested with cockroaches. But finally out of blue he showed us a family chalet that was reasonably clean and good and managed to spend the night out. Hopefully others going there are similarly fortunate. There is no hot water in the resort. The location is great just facing the pristine beach.